For most questions, you can rely on parents or Google, but for the all-important fashion questions, this is where we come in. We created the Facebook group Who What Wear Insiders for anyone with the common interest to join and get involved with asking their burning questions. We've discovered most topics will actually benefit everyone, and subsequently, have become the inspiration behind some of our most popular stories. One of the most recent conversations that have a recurring theme is about jumpers. Of course, we all want to find ways to stay cosy and stylish this time of year, but it's fine knits that have got us all talking. Why? Well, we're not at peak super-freezing season yet, and so the need for giant cable-knit mohair creations isn't really at play. Fine-knit jumpers are perfect for layering under your summer dresses, ideal for tucking into straight-leg jeans without bulk and so much more. That's why every fashion person we know has an armoury of them to rely upon. Style Notes: Make like Lotte Williams and match cute clips to your knitwear of choice. 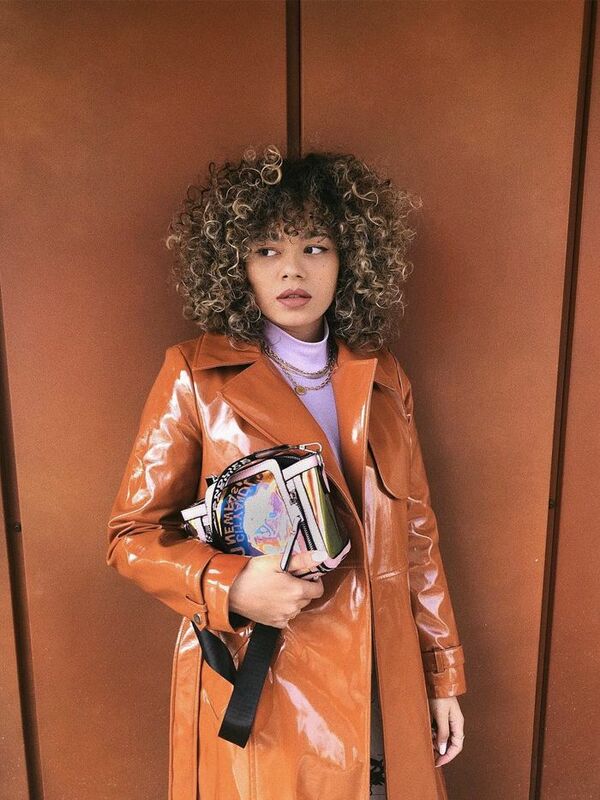 We love this whole look. Style Notes: It's that jumper you've most likely seen on social. Luckily, we've found where to shop them below. Style Notes: You can never put a fashion foot wrong when it comes to grey cashmere. Case in point? Jennifer Atilémile. For those days when you're transitioning between running to the bus stop in the cold to getting on a sweaty bus/train, and then back into to an arctic office thanks to the all year round air con, it's all about layering. A fine knit is the soft, lighter jumper of the family and won't make you feel like Joey from Friends in the episode where he puts all of Chandler's clothes on at once. 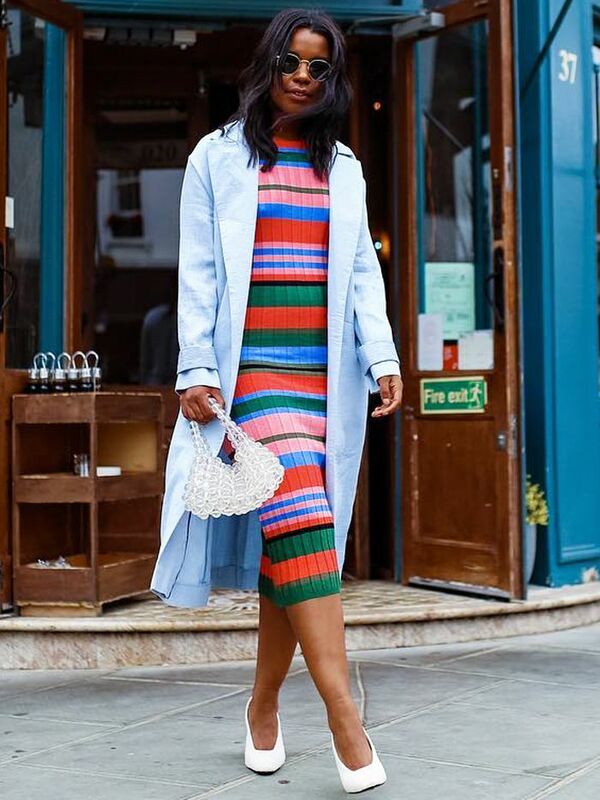 From the Chloé roll-neck you'll put underneath every blazer you own to the Topshop V-neck style you'll add over midi dresses and shirts, keep scrolling to peruse the 21 best fine-knit jumpers on the internet right now. The classic knit is back with a shimmery fleck, and we approve. 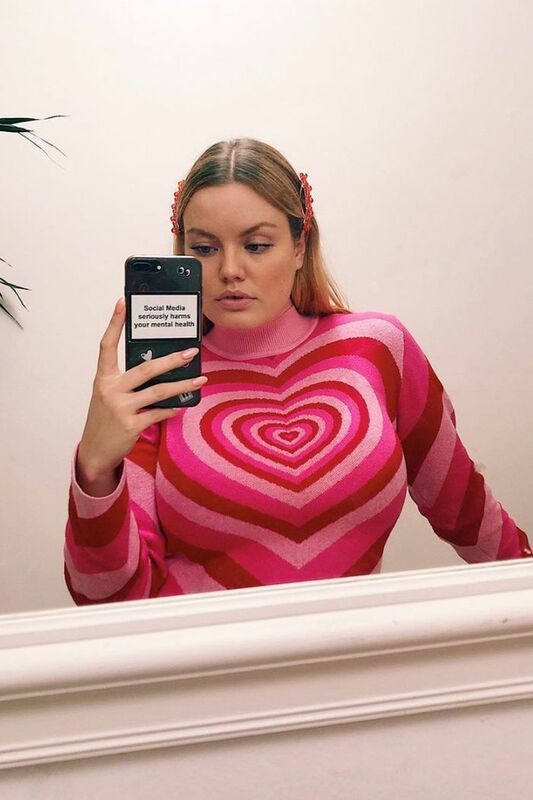 Everyone is loving these bold, bright slogan knits on Insta. Team with checked trousers for a retro look. This can be layered under a chunky cable knit for winter. It's just asking to be worn with a camel coat. The V neck style makes it easy to throw over shirts, roll necks and midi dresses. It looks slightly festive but in a totally wearable way. It comes in an array of different shades, but this is our strong fave. Layer a shirt underneath for a preppy vibe. Pretty grateful to Alexa for creating this winner. You'll wear this cardi a hundred times over. The Alpaca blend makes it even softer. It's the colour of the season. Didn't you know? A sprinkling of embellishment can take a simple knit to new heights. Wear with a leather midi skirt and knee-high boots. The slightly oversized style is just made for layering. This edit wouldn't be complete without animal print. Want to get ahead and have all your spring/summer 2019 questions answered? These are the trends to look out for already.